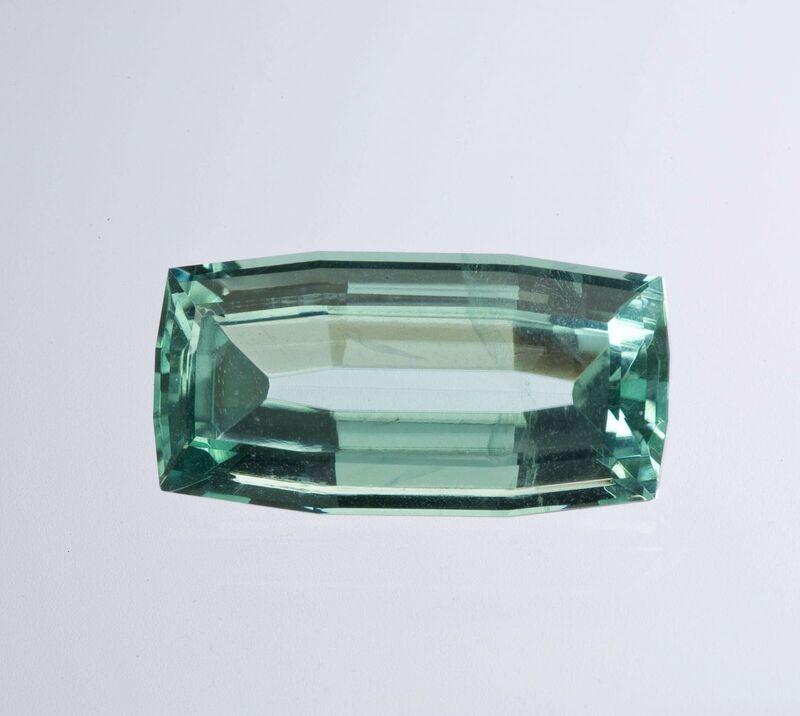 One of the largest gems of this rare species that we have seen on the market, with certainly only a few larger in institutional and major private collections. 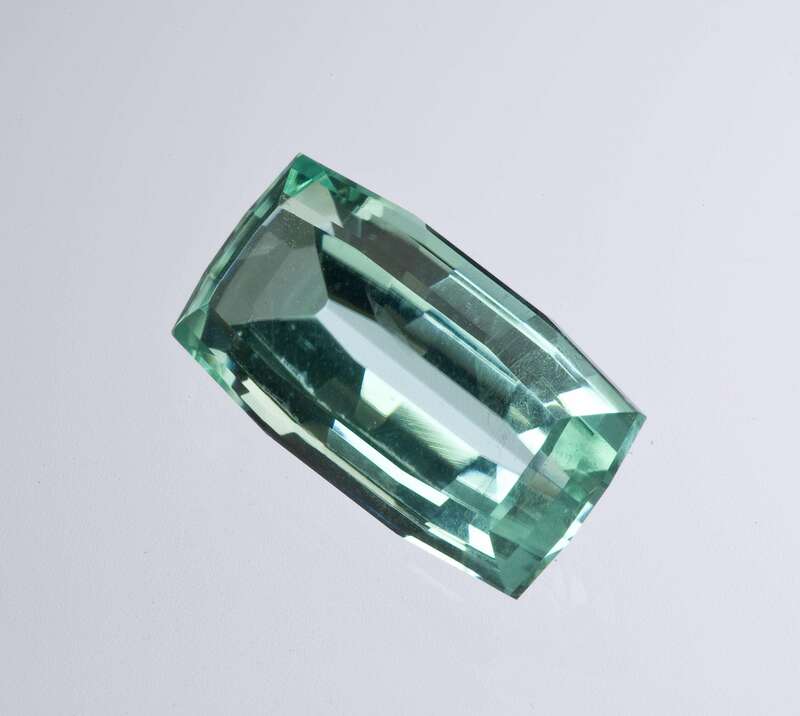 It shows the unique light, bluish green color and saturation, that only phosphophyllites from the old finds of the 1940s-1950s have. These are spectacular stones for the species and are highly recommended for top collections both for the beauty and for their proven investment potential over time. 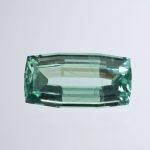 We feel there is strong upside for these gems, as the few remaining great crystals out there will tend to be preserved at the prices they currently command, making large stones like these very rare commodities. In the past, surviving crystals were readily cut as the gems were worth more, before the modern mineral specimen market. These are absolutely stunning in person! I am not normally into faceted gems, but when they get this rare and this gorgeous, and merge with mineralogical rarity, how could I say no? I am told confidently by two well known gem trade experts that this is the biggest and best phospho cut gem on the market in years and is certainly among the top cut phosphos known to exist. It is an old stone, cut decades ago and long stashed away with the specimens in a prominent mineral collection. This is an IMPORTANT collector piece and, without a doubt, an investment-grade gem. It is as nearly clean as you can ask for in such large stone of a rare species, and it was recut to modern standards by Spectrum-Award winner Mark Kaufman for me. THERE IS NO COLOR In MINERALS OR GEMS LIKE THAT OF A PHOSPHO! Smaller stones cut from the same old hoard recently sold out, at Tucson a few years ago, at $2500 per carat. Wholesale.